Poromas have a predilection for the palms and soles but can arise at any site including trunk and head and neck region. 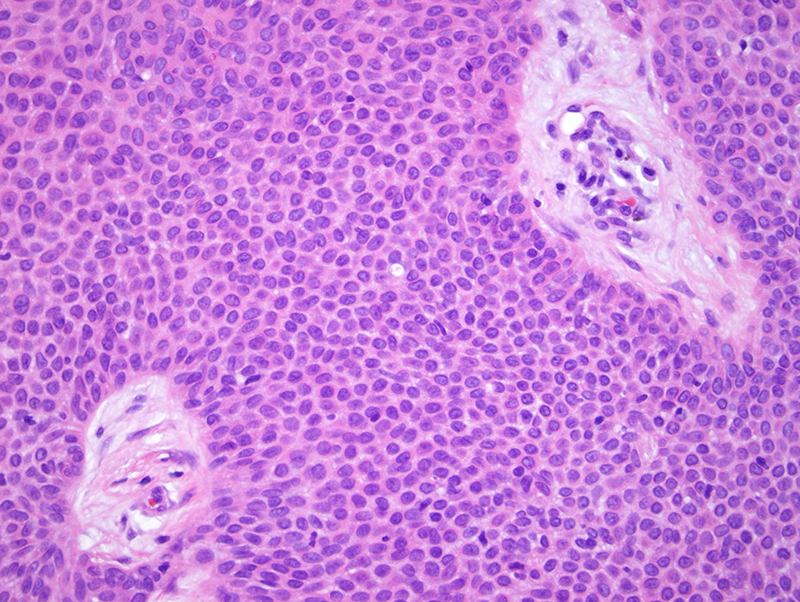 Clinically, poroma appears skin colored or erythematous and may resemble a pyogenic granuloma. Microscopically, it is characterized by anastomosing trabeculae of squamous cells with multiple connections to the epidermis. The cells are bland and uniform. 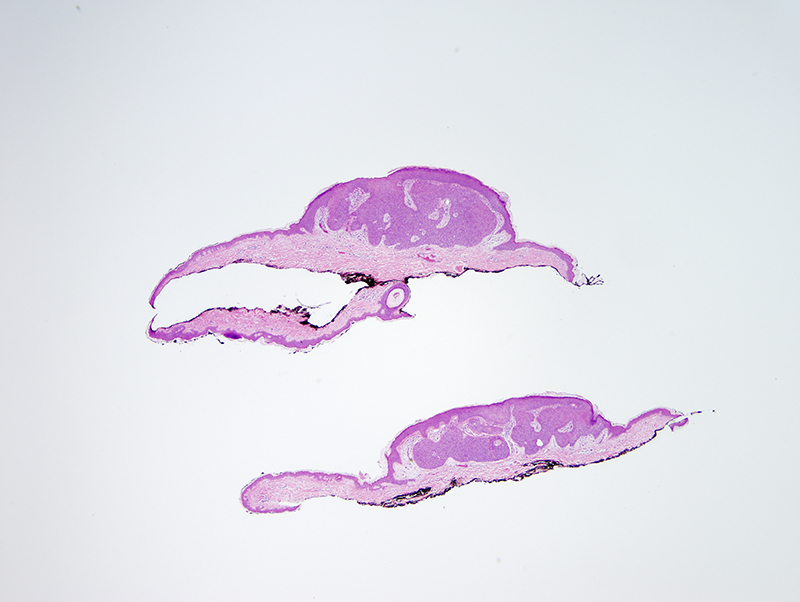 Scattered ducts can be identified and are highlighted by CEA immunostains. 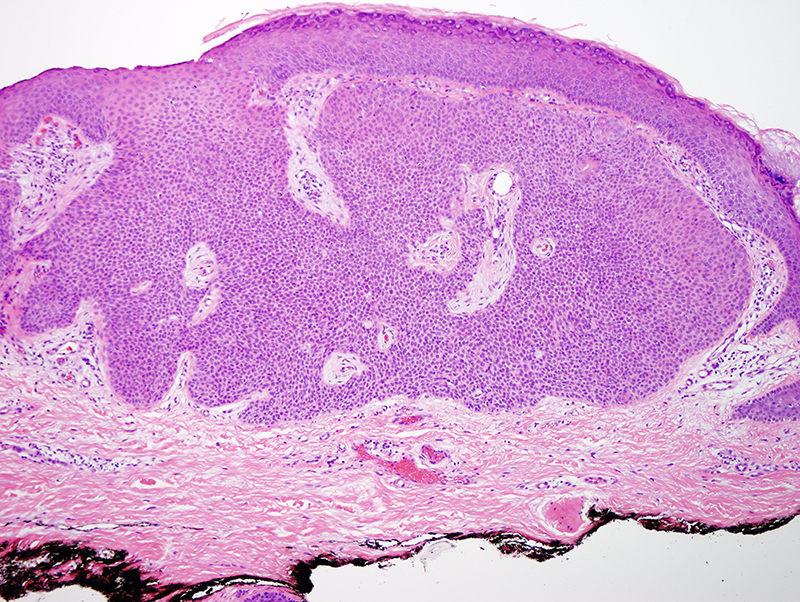 The differential diagnosis includes seborrheic keratosis and basal cell carcinoma.